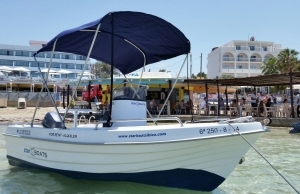 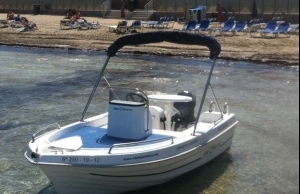 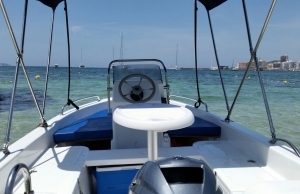 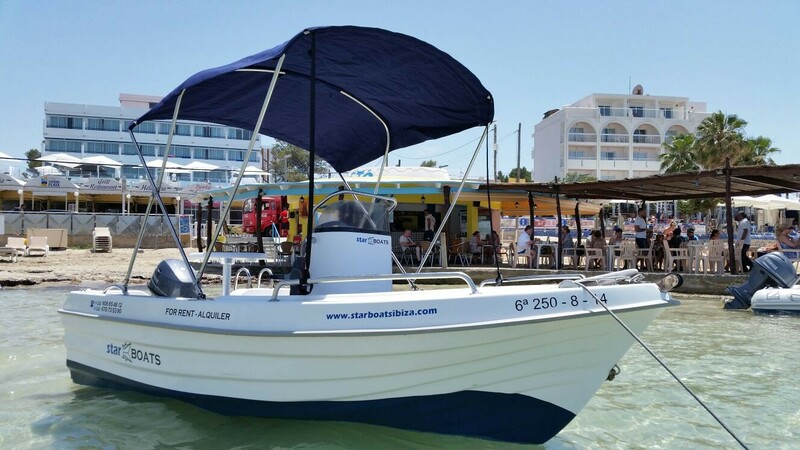 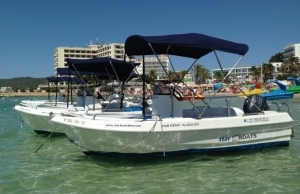 This 5 meter open bow boat rental is great for cruising the bay of San Antonio, its fully equipped with everything needed for a great day out on the water. 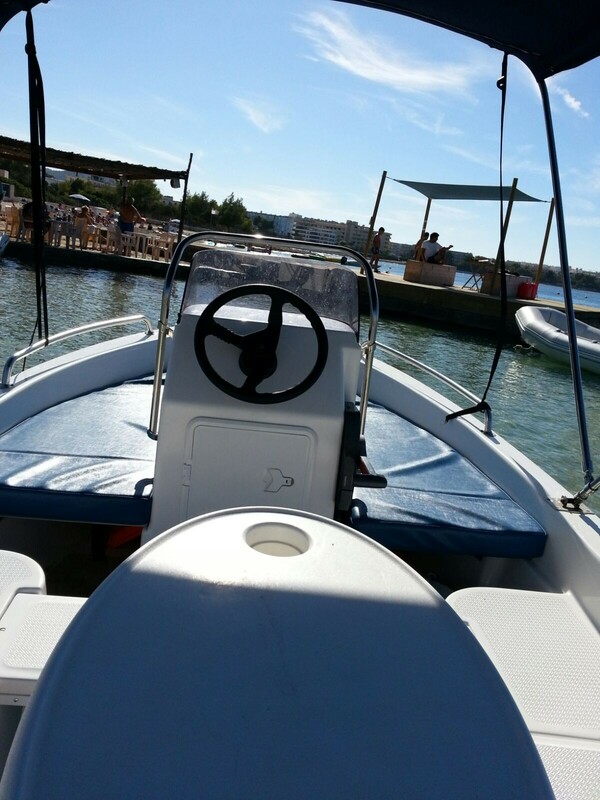 This 5 meter open bow boat rental is great for cruising the bay of San Antonio, its fully equipped with everything needed for a great day on the water. 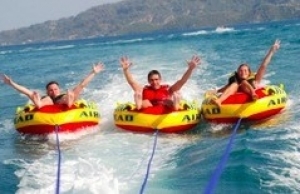 We provide the necessary life vests. 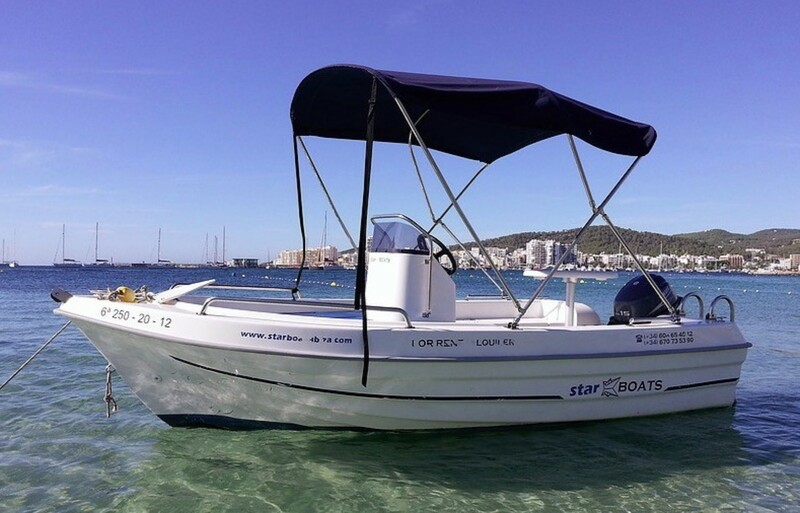 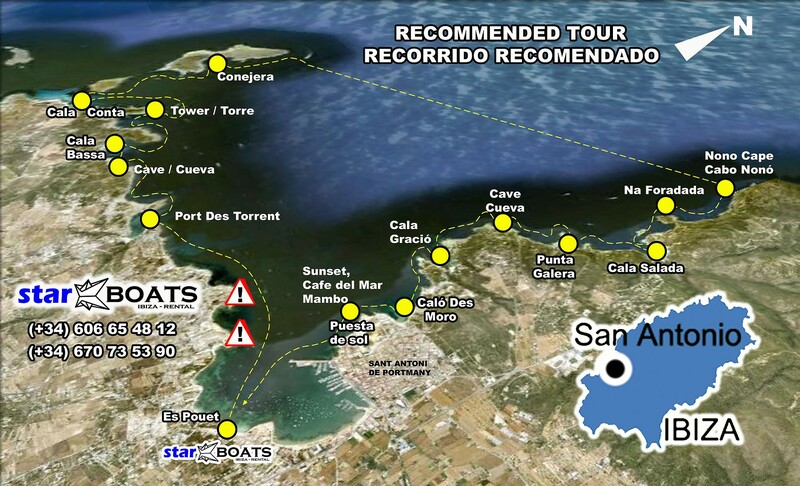 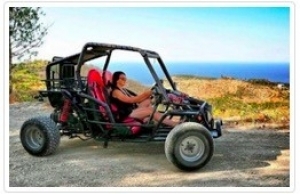 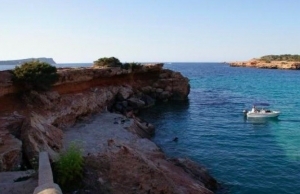 This is the most comfortable and practical way to discover the beautiful hidden bays arround the coast of San Antonio, Ibiza. 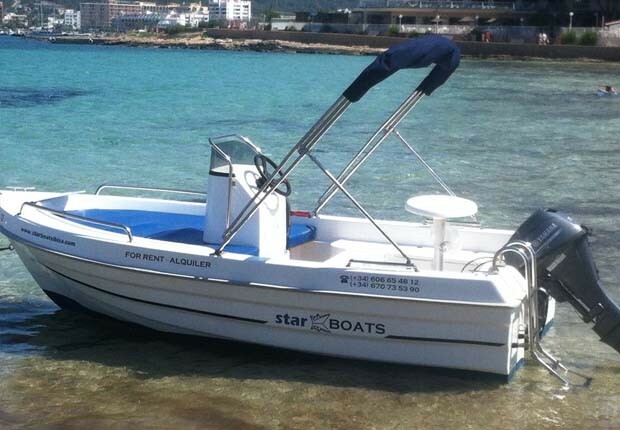 **Fuel and VAT included. 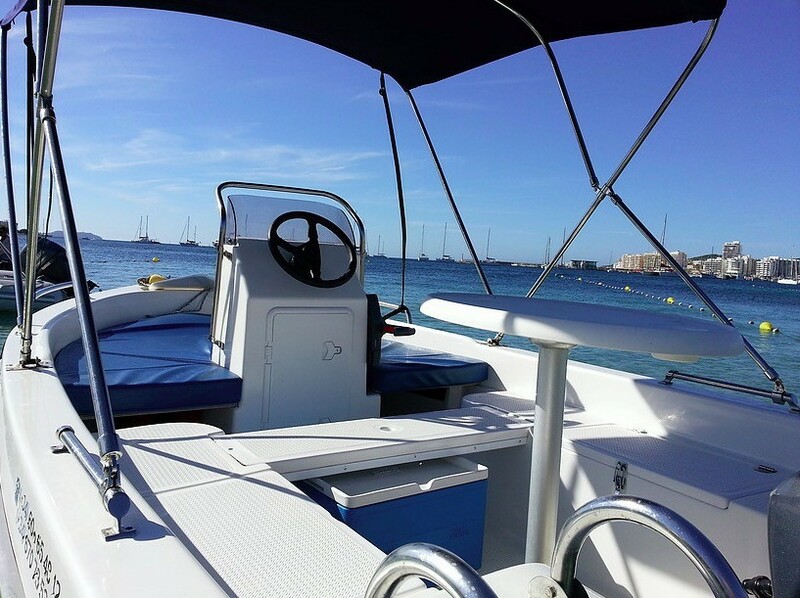 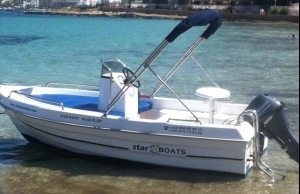 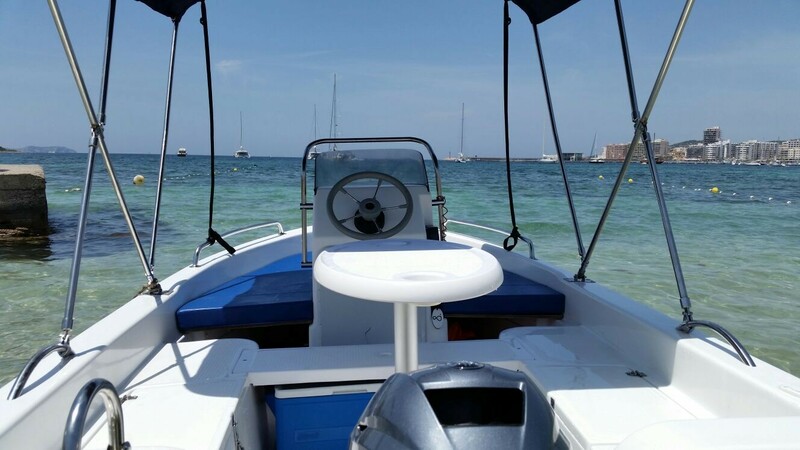 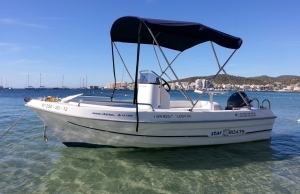 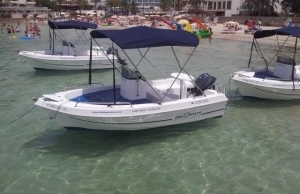 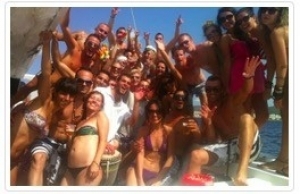 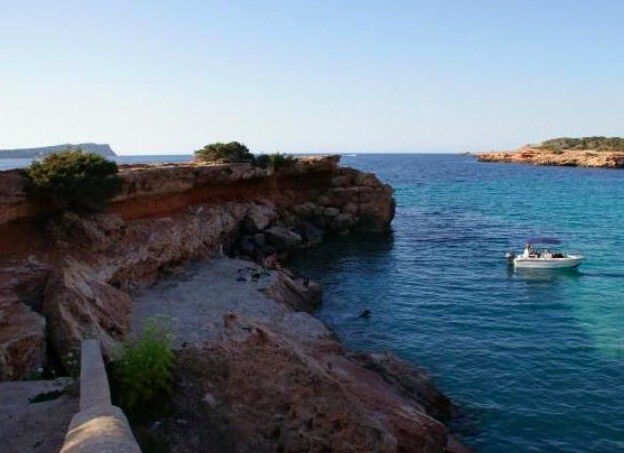 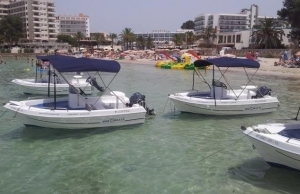 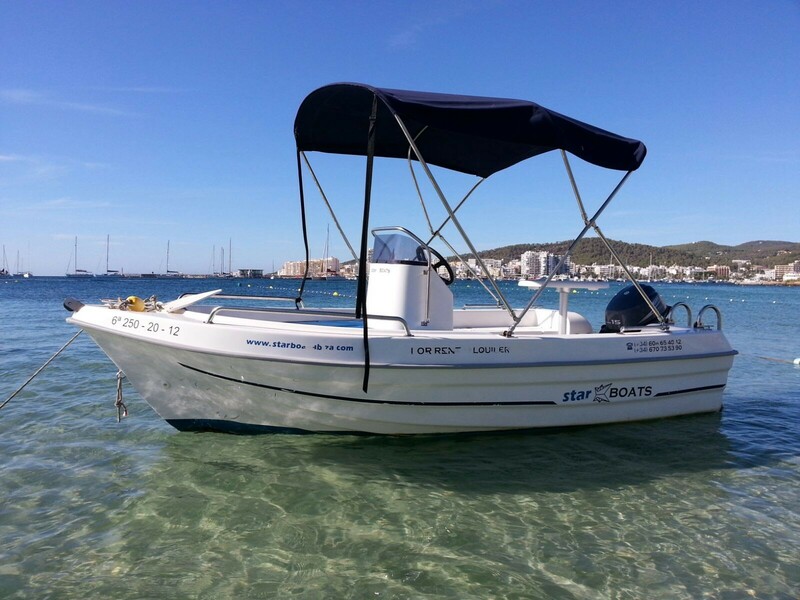 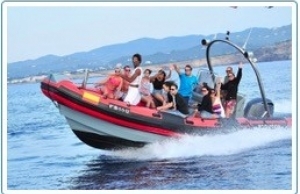 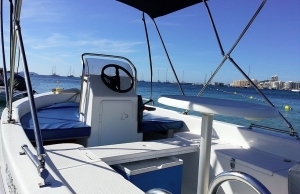 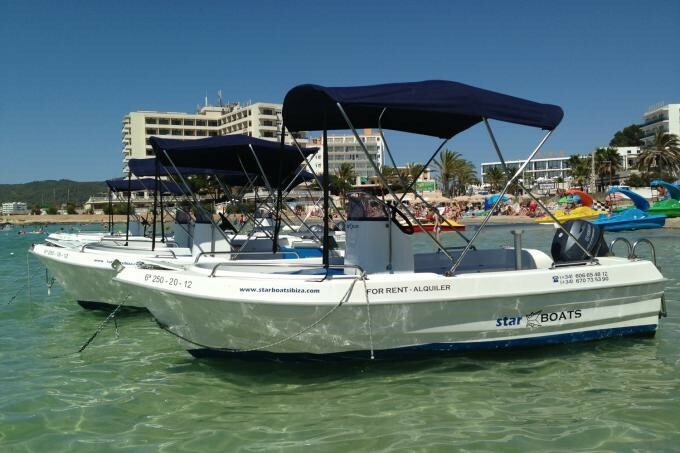 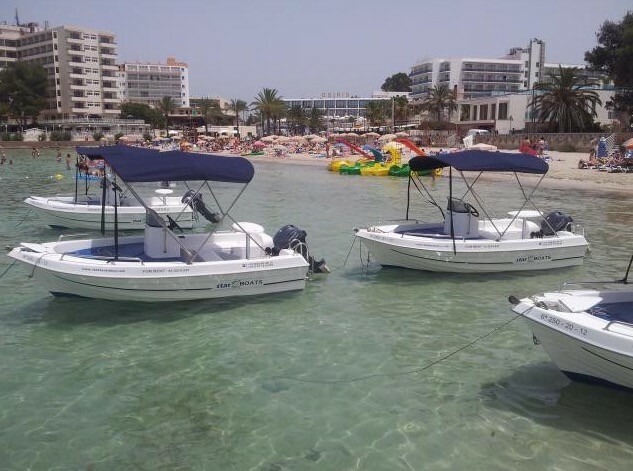 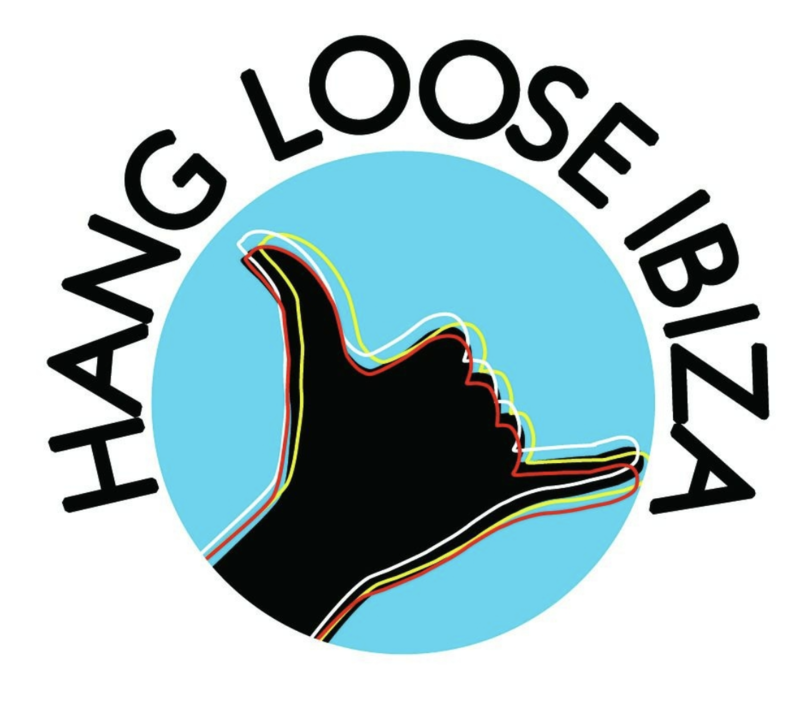 Rent one of our boats by yourself, get some friends, and enjoy the best beaches and sunset of the island of Ibiza. 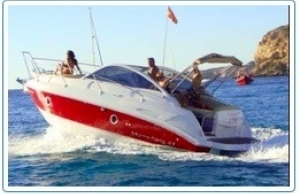 Enjoy the pleasure of sailing in this crystal waters by yourself. 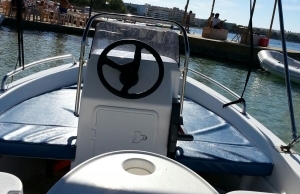 Very easy driving! 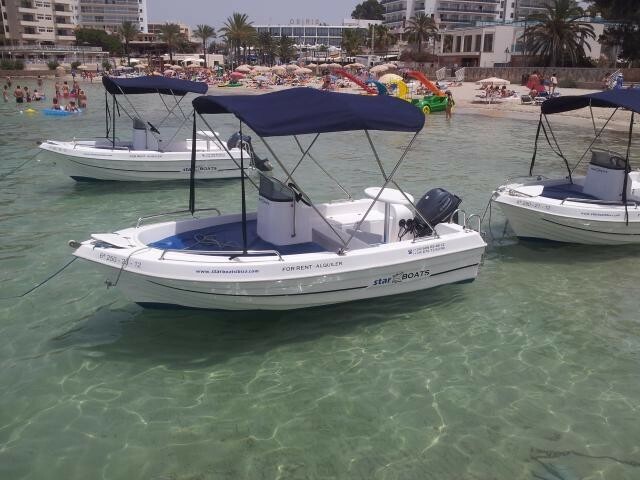 BOOKING AT LEAST 48 HOUR IN ADVANCE IS HIGHLY RECOMMENDED or FOR SAME DAY BOOKING CALL FIRST TO +34 654082728 TO CHECK AVAILABILITY.